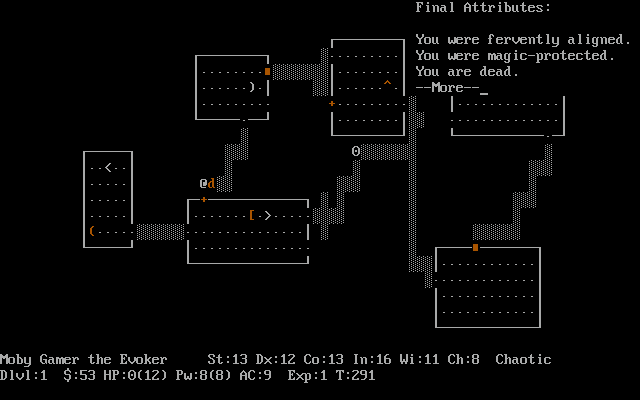 Many of us are still trying to finish NetHack. Developed in the 80’s with ASCII art, it’s a humbling experience to walk through randomly generated dungeons not being entirely sure of whether the letters on the floor are equipment for your benefit or monsters far too strong for your mettle. 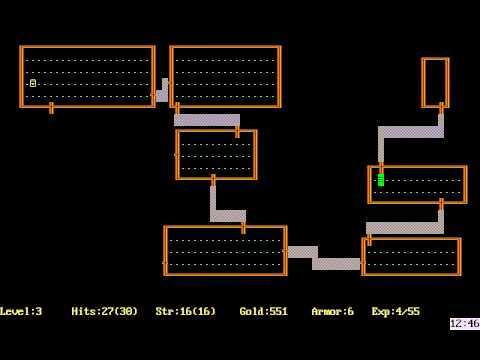 It’s a game which is so deep, so complex and so ever-changing that if you are able to do what almost seems impossible and successfully complete Nethack, you should be awarded a badge of honour. If you’ve never tried it before, it's free and readily available on modern platforms. Just prepare to be beaten down by one of the most infamous, well regarded, and challenging roguelikes ever developed. Wizardry has been one of the most potent franchises in RPG history; starting out at Sir-Tech before being acquired by Japanese developers, it is a franchise that is continuing strong to this day. 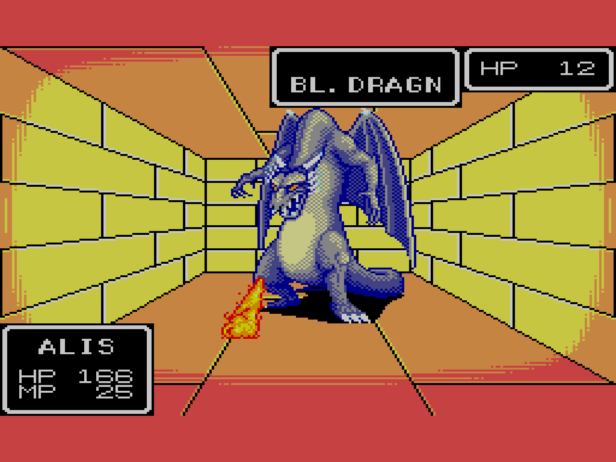 In so many ways the very first Wizardry was a pioneering game; within those wireframe dungeons and incredibly simple graphics representing enemies beats the heart of the first person dungeon crawler; a genre that continues to this day with surprisingly little deviation from tradition in the likes of Etrian Odyssey and Legend of Grimrock. Wizardry was also the first game to give players a party of heroes to take on their adventure, as opposed to a single warrior, which was a massive, and vital, innovation to the genre. It might be the least renowned of Shigesato Itoi’s beloved trilogy, but the original Mother on the Famicom is an exceptional piece for its time. Set in pseudo-America of the 1980s, it’s a charming coming of age story that follows young Ninten in his quest to save the world. This eccentric journey tasks him with beating up everything from lamps to hippies and aliens, but frequently halts to indulge softer themes such as romance and friendship along the way. Compared to its sequels and other games of the period, Mother is a remarkable open-ended game and this serves its childlike, adventurous spirit well. 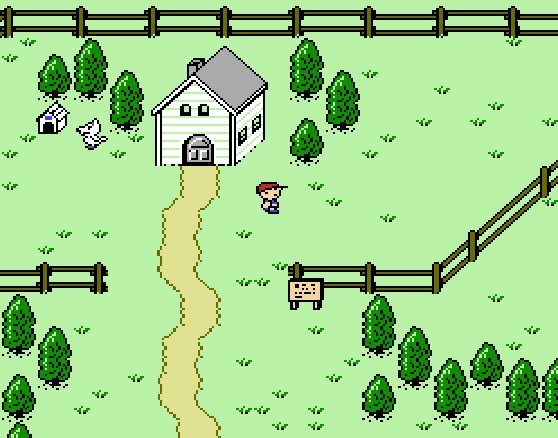 Above all, though, Mother is an early example of an RPG with a rich back story; the history of Ninten’s ancestors, George and Maria, is one that is easy to miss because it plays out very quietly. It's even leveraged to humanise the main villain, which was a relative rarity in an era teeming with “light versus darkness” fantasy plots. While it lacks the polish and iconic features the series is known for, this remains a unique RPG with the requisite humour you’d expect of Itoi. There had never really been a game like Sweet Home before, and there’s never really been one like it again. It’s the spiritual predecessor to Resident Evil, but it’s also very much a turn-based JRPG with random encounters, strategic combat and dungeons to explore. Resource management was a big deal, and the game doesn’t shy away from some horrific imagery either. It’s one of the first games to be genuinely terrifying, and it's confronting story holds up even now. It’s unfortunate that Sweet Home’s release landed in a time where video games were considered as toys in the West, meaning this one never saw any release outside of Japan and remains difficult to track down, though there are some fan translations that you can find if you look hard enough. Phantasy Star was the game that gave SEGA its JRPG to compete with the likes of Square (Final Fantasy) and Enix (Dragon Quest), and it's quite tragic that where those franchises have really become so synonymous with the genre, Phantasy Star has been allowed to fade into obscurity, aside from a couple of MMOs. The original Phantasy Star did basically the same thing that its peers did, but threw in first person dungeon crawling, to go with the traditional top-down exploration of towns and the overworld. 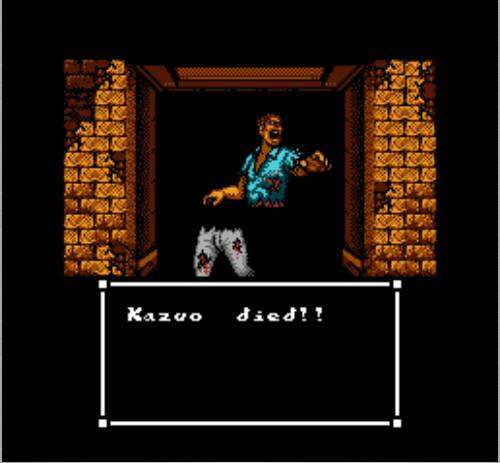 These dungeons added an entirely new dimension and immediacy to the game. Coupled with the science fiction setting and themes, and this game stood apart from its peers well enough to be well worth a look as something different and innovative. We were there when Rogue came out for the IBM PC with all the glory of floppy disks and ASCII characters generating a top view presentation of a randomly generated dungeon. All that effort in order to allow us to take my character on quick adventures that would have us die repeatedly and start all over again. We don't think anyone at the time could see what a long lasting effect these moving characters would have, or how widely the term "Roguelike" would be abused over the decades to come. But still, we had to have another go and then another go, because it was clear that next time around we would show those monsters who the real boss is. Then we'd fail, pick ourselves up, and have another go. Just like in real life. RPGs are generally considered to be most appropriate for home play. 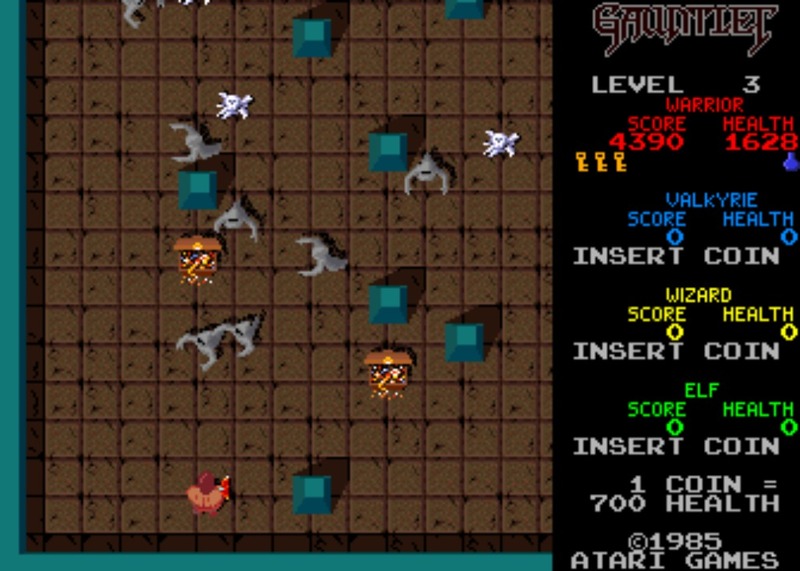 They're slower paced, larger, and more cerebral experiences, so it was rare for a developer to take the principles of RPG gameplay and try and make an arcade game out of them. But that's what Atari did with Gauntlet, and it was rewarded handsomely with a franchise that endures in popularity to this day. 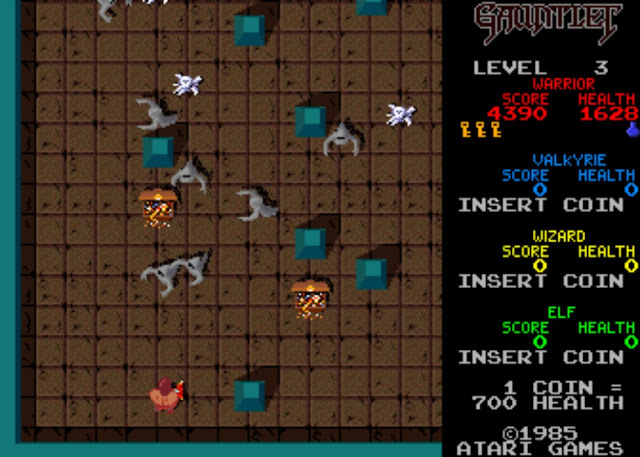 Rather than going for mechanical depth, Gauntlet focused on the visceral; hordes of enemies swamping the players and plenty of loot to pick up along the way. Joining up with three friends, each playing a different class of character, was manic fun, not least because a player's game was over if their health ran out, and that health was always ticking down, even if enemies weren't attacking. The only way to survive was to press on, and fast, and look for food left lying around as "treasure." Sure there were far more complex RPGs on your consoles and PCs at home, but if you were a fan of those and found yourself at the arcade, you would always end up at the Gauntlet machine. It was impossible to resist. 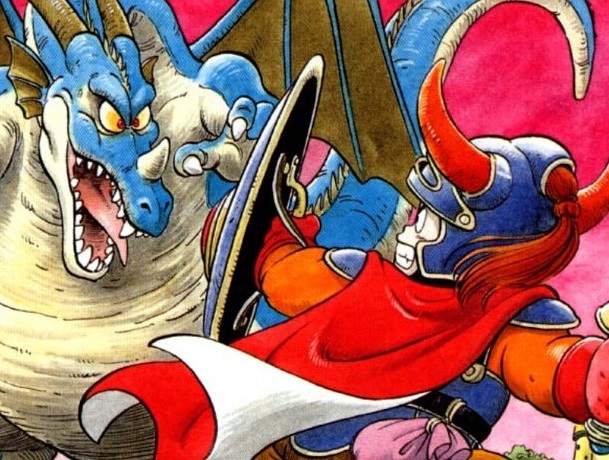 The JRPG genre as we know it wouldn’t exist if not for Dragon Quest. Yuji Horii was inspired by games like Wizardry and Ultima, and wanted to find a way to simplify that sort of experience for the Famicom’s two-button controller. A menu-driven, turn-based combat system, and random encounters, and a uniquely Japanese take on European fantasy tropes laid down a formula that would be imitated and built upon for decades to come. 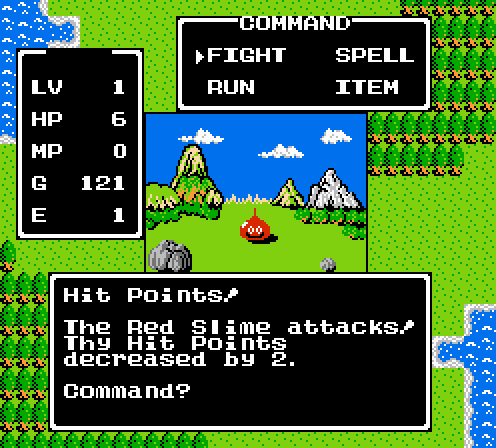 Dragon Quest was way ahead of its time in so many ways, to the point that it still holds up well today, especially if you play the Super Famicom remake (which is the basis for the excellent Android/iOS port). It tells a simple story and is about as mechanically basic as JRPGs come, but it’s captivating nonetheless. More importantly, it’s timeless in a way that few games are.